As a travel journalist, it’s important to pick up on the flavor of a destination right off the bat. Even though it’s a rare, yet welcome occasion to luxuriate in my accommodations upon rolling into town, if a hotel offers a thoughtful beer list my job instantly gets easier. Pursuing such menus offers a sneak peek into the community’s culture. Tableside growler service is how you rule brunch at Loews Vanderbilt Hotel in Nashville. Loews Hotels adds a sense of locale with their Flavors Program. Building partnerships with artisan food and beverage vendors ranging from bakers to brewers, they showcase indigenous products. 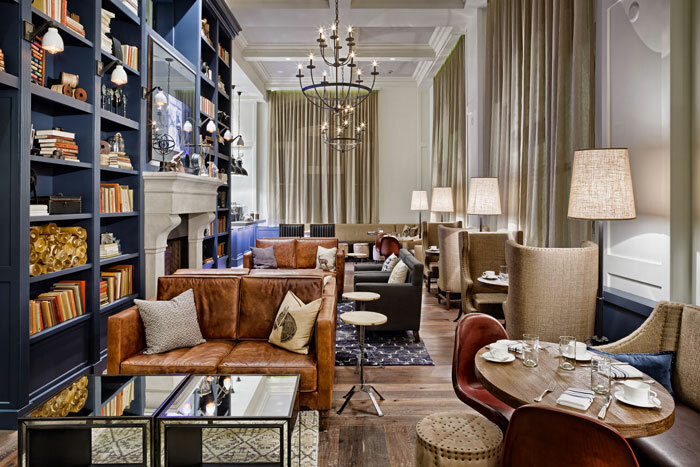 At Loews Vanderbilt Hotel in Nashville for example, guests can indulge in culinary offerings from partners at their fine dining option Mason’s and Mason’s Bar along with their POD Organic Market. 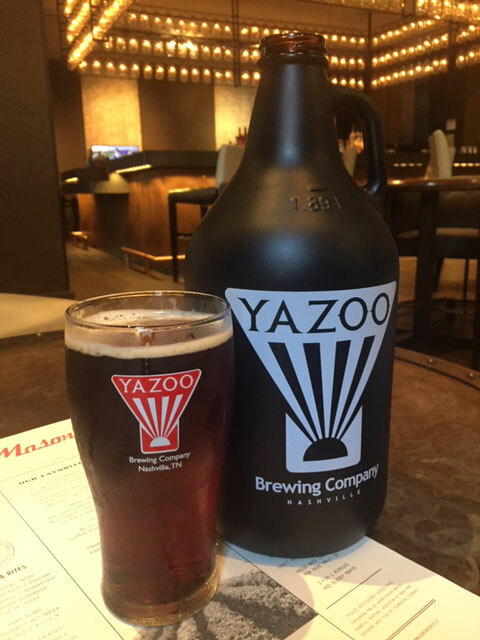 Some of Nashville’s best on this lineup include Yazoo Brewing Company, Frothy Monkey Coffee and Pennington Distilling Co. During Mason’s new brunch service, they offer “For Here Growlers”– any of the current craft beer on tap in a 64oz growler at the table for $15. Cambria Suites is a Choice Hotels International brand who saw the light a few years back. A senior vice president was touring some of its U.S. locations, when he noticed a bottle of suds in the bar’s cooler that wasn’t “on-brand.” When the bartender explained that hotel guests were clamoring for it, that was enough to pop his top. Not only is each Cambria location now required to offer guests at least two local craft beer choices, but certified cicerones are on staff to ensure the best options are made available the moment a new location opens its doors. Fairmont Hotels and Resorts partners with an impressive list of tastemakers from around the world. The Fairmont Sustainability Partnership, for example, works to protect local environments. The Bee Sustainable program features 40 honey bee apiaries and wild bee hotels at Fairmont locations worldwide. When it comes to bee-to-bottle brewing, you can’t go wrong with The Fairmont San Francisco who partners with Almanac Beer to brew their exclusive Fairmont Hotel Honey Saison using honey harvested from the iconic hotel’s rooftop. Kimpton Shorebreak Resort recently collaborated with Anaheim’s newest craft brewery, Towne Park Brew Co., to create Shorebreak Mexican Lager. Kimpton Hotels and Restaurants believes in the collaborative spirit when it comes to locale, particularly in the Golden State. 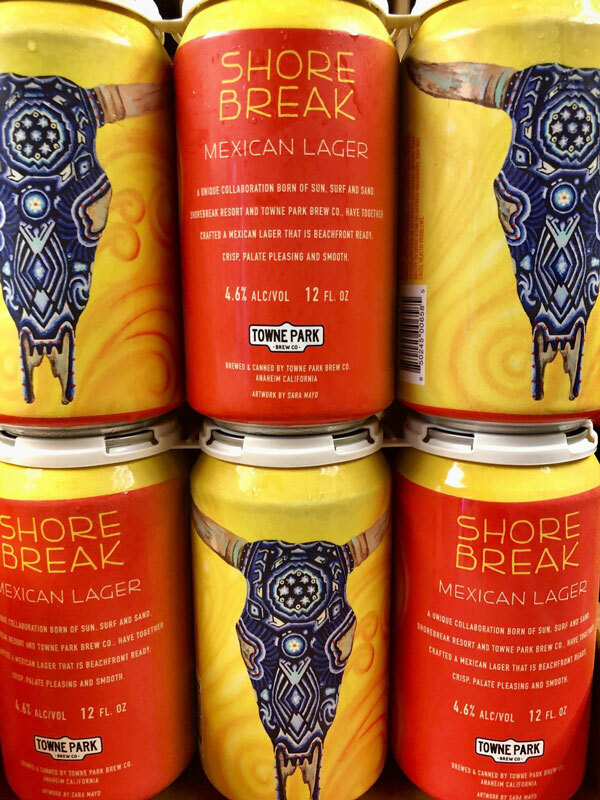 Kimpton Shorebreak Resort recently collaborated with Anaheim’s newest craft brewery, Towne Park Brew Co., to create Shorebreak Mexican Lager. Guests can enjoy the new beer in cans from their mini bar or during social hour. A local dining favorite, Pacific Hideaway, also carries the beer. Santa Barbara’s Kimpton Goodland Hotel has partnered with local brewery, M. Special Brewing Company, to create the hotel’s first branded beer — Good Bar Special is a grapefruit IPA sold at the hotel, as well as the brewery. Viejas Casino & Resort is San Diego’s premier luxury gaming resort. They’ve collaborated with Mission Brewery to launch Viejas Golden Blonde, available at both Viejas Casino & Resort and Mission Brewery while supplies last. The new Viejas Golden Blonde is a beer that is meant to be enjoyed in the golden California sun. Gaylord Rockies Resort & Convention Center, opening in Aurora, Colorado, this December, loves to work with their local makers such as Dry Dock Brewery. Aurora’s pioneering brewery has worked with Gaylord to create two Gaylord-specific beers: Grand Lodge Golden Ale and Pinyons Pale Ale. These beers will be served on tap in Gaylord’s Mountain Pass Sports Bar that is home to the largest HDTV (75 feet long and 14 feet tall) in the state of Colorado. Sports bars not your thing? Savor a pint while watching the beautiful Rocky Mountain sunsets. Denver, Colorado’s original boutique hotel has a complimentary “Craft Beer Concierge” on staff. Whether it’s sours, seasonals or saisons, the concierge will curate craft brewery experiences such as the Bike & Brew Package. Guests indulge in a custom charcuterie and cheese plate paired with two drafts of local craft beer in The Study, a map of favorite Denver breweries, reserved transportation to and from the breweries via Hotel Teatro’s vintage cruiser bikes, and a $40 breakfast credit. Guests at Denver’s Hotel Teatro can indulge in a custom charcuterie and cheese plate paired with a variety of local craft beer in The Study. The Essex Resort & Spa is located just outside Burlington and nestled in the heart of the beautiful Green Mountains. Back in the day, the New England Culinary Institute lived here. There are two onsite restaurants serving local hard-to-find beers in cans/bottles along with 33 taps. Right now, you can get the always elusive Heady Topper and Lawson’s iconic Sip of Sunshine in their large format cans along with drafts like Rarefied Air from Fiddlehead and Strawberry Whale Cake from Burlington Beer Company. The property’s spa offers a “Body Brew” treatment which includes a scrub made with your favorite local beer. Stay tuned as beer taps are added at the check-in desk later this year. There are two onsite restaurants at The Essex Resort & Spa serving local beers such as Heady Topper and Lawson’s iconic Sip of Sunshine. Ironworks Hotel Indianapolis boasts three restaurants in Indianapolis’ first northside boutique hotel whose beer lists read like a Who’s Who of Hoosier brew. Later this fall, the hotel will welcome guests to the new Daredevil Hall. Makers of the Lift Off IPA in the Speedway neighborhood, this brewery looks forward to its first satellite location at Ironworks. Even though the Indy 500 champion cheers with milk each May, I bet there may be a beer or two awaiting the real “victory lap” in upcoming races. Detroit Foundation Hotel is a boutique hotel in downtown, home to the Apparatus Room helmed by two Michelin-star chef Thomas Lents. In addition to great food with local influence, their drink program features local breweries which include Kickstand Brewing, Old Nation Brewing, Griffin Claw, Batch Brewing, Liberty Street Brewing, Witch’s Hat and Cellarmen’s. Hotels such as these pay attention to the discerning palates of their guests. It’s a sincere way to break away from the pack. By patronizing establishments that have a vested interest in their community by supporting their local craft, you’re not only keeping the lights on and food on someone’s table you’ve never even met, you’re doing your part to keep ‘em coming. And, that’s something to drink to. Here’s to wheels up and clear skies from here on out! The post Drinking Local Beer at Hotels is Getting Easier appeared first on CraftBeer.com.